Per his military service record (Depot), Denis Justin Dwyer [spelt also as Dennis Justin Dwyer] was born in Grenfell, N.S.W. He gave his age as 22 years and 6 months, his marital status as single, and his occupation as labourer. His description on his Certificate of Medical Examination was height 5 feet 7 inches tall, weight 10 stone, with a fair complexion, grey eyes, and brown hair. His religious denomination was Roman Catholic. He claimed he had no previous military service. He completed his medical examination at Molong on 22nd October 1915, and was attested by Captain T. A. Nicholas at ‘Molong (8 miles east)’, along with several other Coo-ees, on 22nd October 1915. His next of kin was recorded on his Australian Imperial Force Attestation Paper of Persons Enlisted for Service Abroad form as his mother, Mrs R. Dwyer, 1 Yule Street, Dulwich Hill, Sydney N.S.W. On 5th December 1915 Private Dwyer was charged with being absent without leave from 2nd December to 14th December 1915. He was recommended to be discharged. His Statement of Service records that on 16th December 1915 Private Dwyer was discharged from the A.I.F. unlikely to become an efficient soldier. Per his military service record (regimental no. 4930), Charles Henry Maidens was born at Doncaster, England. He gave his age as 38 years and 1 month, his marital status as single, and his occupation as labourer. His description on his Certificate of Medical Examination was height 5 feet 5 inches tall, weight 10 stone, with a fair complexion, light brown eyes, and brown hair. His religious denomination was Church of England. He claimed that he had 6 years and 11 months previous military service in England, and had been invalided with fever. He completed his medical examination at Molong on 22nd October 1915, and was attested by Captain Nicholas at ‘Molong (8 miles east)’, along with several other Coo-ees, on 22nd October 1915. He was made Acting Corporal on the Coo-ee March on the same day. He initially retained his rank of Acting Corporal when he was a Liverpool Camp. However, on 21st February 1916, Acting Corporal Maidens was charged at Liverpool with being drunk and incapable of performing duty on 19th February 1916. He was reduced to the rank of Private and fined 20 shillings. On his embarkation roll his address at time of enrolment was General Post Office, Sydney, N.S.W. His next of kin is listed as his father, C. Maidens, 91 Catherine Street, Doncaster, England. 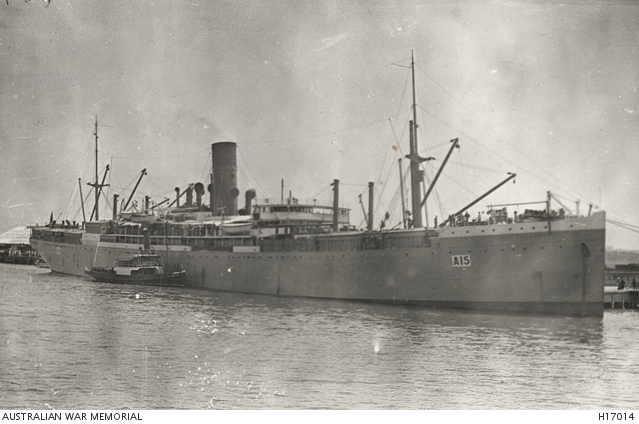 On 8th March 1916 Private Maidens, along with many of the other Coo-ees, departed Sydney on the HMAT A15 Star of England with the 15th reinforcements for the 13th Battalion, and arrived in Egypt on the 11th April 1916. On 7th June 1916 Private Maidens left Alexandria aboard a transport bound for France. He arrived at Marseilles on 14th June 1916. On 18th July 1916 Private Maidens was admitted to the 26th General Hospital at Etaples, France, suffering Cystitis. On 22nd August he was discharged to No. 6 Convalescent Depot. Private Maidens was taken on strength of the 4th Australian Division Base Depot in France on 7th September 1916. On 25th October 1916 Private Maidens marched out to the 1st ANZAC Headquarters in France with a draft of P.B. [permanent base] men. On 13th December 1916 Private Maidens was sent to a rest station suffering from Influenza. On 2nd January 1917 he was transferred to the 20th Casualty Clearing Station at Heilly, France. On 3rd of January 1917 he was admitted to the 8th General Hospital at Rouen, France, with debility. On 21st January 1917 he was sent to No. 2 Convalescent Depot at Rouen for base details. On 23rd January 1917 he marched in to the 4th Australian Division Base Depot at Etaples, France. On 4th April 1917 Private Maidens was detached to the 1st ANZAC Salvage Corps at Etaples. A Medical Board found him medically fit for duty on 9th May 1917. On 26th May 1917 Private Maidens rejoined the 13th Battalion, when it was training at Doulieu, France. Private Maidens served with the 13th Battalion for almost two months on the Western Front until 23rd July 1917, when he was sent to the 13th Australian Field Ambulance, suffering D.A.H. [disordered action of the heart]. On 24th July he was moved to the 2nd Australian Casualty Clearing Station. On 25th July he was placed aboard the 38th Ambulance Train, and moved to the 4th General Hospital at Rouen, France. On 4th August 1917 he was discharged from hospital, and marched into the 4th Australian Division Base Depot. On 15th August 1917 Private Maidens went before a Medical Board and was found medically unfit ‘Age V.D.H.’ [valvular disorder of the heart]. He was placed aboard a ship at Le Havre and sent to England. He marched into the No. 2 Command Depot at Weymouth on 16th August 1917. He was classed as P.B. [permanent base] by a Medical Board the same day. On 29th August 1917 Private Maidens was charged with smoking on parade. He was awarded 3 days Field Punishment No. 2. On 18th September 1917 Private Maidens was transferred to the No. 4 Command Depot at Codford, England. A medical report in his service record dated the same day recorded ‘Very nervous. Slight tachy cardia. Age 46’. [So his age appears to have been about 44 when he joined the Coo-ee March, not the 38 years and 1 month that he stated on his Attestation Paper]. On 7th November 1917 Private Maidens was sent to the Group Isolation Hospital at Hurdcott suffering Scabies. He was discharged on 15th November 1917. On 24th November 1917 Private Maidens was transferred to the No. 2 Command Depot at Weymouth, England. On 18th January 1918 Private Maidens was charged with being absent without leave from 2130 on 16th January 1918 until 2220 on 16th January 1918. He was awarded 3 days Field Punishment No. 2. On 15th April 1918 Private Maidens departed England aboard the H.M.A.T. Marathon bound for Australia, for medical discharge ‘over age D.A.H.’. He arrived in Australia on 12th June 1918. He was discharged medically unfit on 12th December 1918. 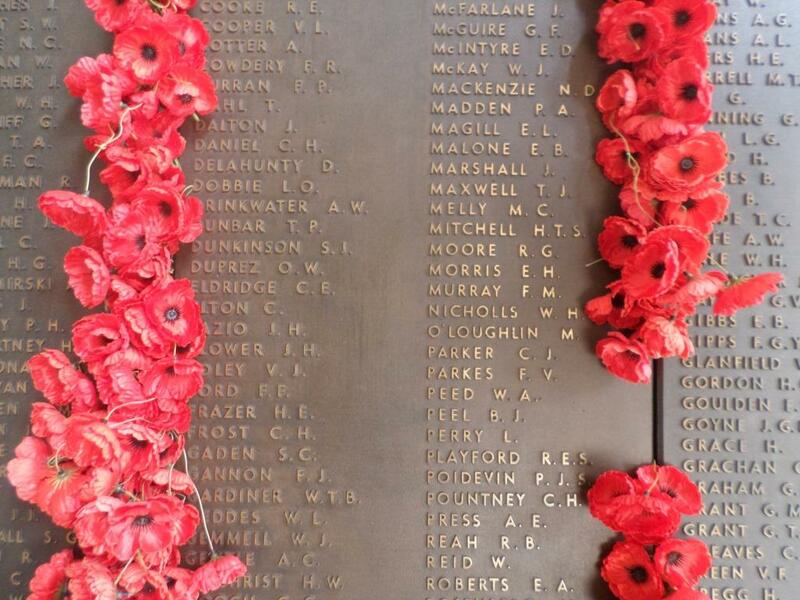 Australian War Memorial. First World War Embarkation Roll, Charles Henry Maidens, 4930. Per his military service record (Depot), Harold Edgar Graham was born at Narrandera, N.S.W. He gave his age as 23 years and 4 months, his marital status as single, and his occupation as cook. His description on his Certificate of Medical Examination was height 5 feet 7 ½ inches tall, weight 11 stone, with a florid complexion, hazel eyes, and light brown hair. His religious denomination was recorded as Roman Catholic. He claimed that he had no previous military service. His postal address on his initial Application to Enlist in the Australia Imperial Force form, addressed to the Recruiting Officer at Molong, was Tottenham via Trangie N.S.W. His next of kin on his Attestation Paper was recorded as his father, A. E. Graham, at the same address. He was one of the four recruits sent by the Parkes Recruiting Association by train to join the Coo-ees at Molong. ‘Harold E. Graham’ was reported as one of ‘five recruits to meet the contingent at Molong’ in the Molong Express and Western District Advertiser on 23rd October 1915. He completed his medical examination on 22nd October 1915 at Molong, and was attested by Captain T. Nicholas eight miles east of Molong on the same day. Less than a week later, a letter in his service record dated 18th November 1915 reports that ‘this man came before Redfern Court charged with riotous behaviour in Redfern and was fined 10/- or 10 hours has 7 days to pay’. He was also charged by the military authorities with being absent without leave the same day, and was given a warning. The Forbes Advocate reported on Friday 10th December 1915 that Coo-ees ‘H. Grahame’ [sic] and ‘T. Taylor’, on final leave with two other soldiers, attended a send-off at Bogan Gate on Thursday night, where they were presented with a wristlet watch each. Private Graham was soon in trouble again with the law, going before the Police Court at Parkes on 24th December 1915, where along with fellow Coo-ee Thomas W. Taylor, he ‘pleaded guilty to a charge of stealing, in company, the sum of £5 from the person of Frank Williams’. The Western Champion reported on 30th December 1915 that ‘the accused, who appeared in court in the uniform of the Australian Imperial Forces, were two of the men who joined the Gilgandra “Coo-ees” as recruits from Parkes’, and that the ‘men originally came from the Bogan Gate district’. Private Graham’s period of service in the Infantry Depot at Liverpool is recorded on his Statement of Service as being from 22nd October 1915 to 9th January 1916, when he was recorded as being a Deserter. He was discharged from the A.I.F. on 31st March 1916, with the reason for discharge being recorded as ‘convicted Civil Court’. Per his initial military service record (Depot), Joseph William Edwards was born at Marsden [near Forbes], N.S.W. He signed his name as William Edwards. He gave his age as 21 years and 5 months, his marital status as single, and his occupation as general labourer. His description on his Certificate of medical examination was height 5 feet 9 inches tall, weight 186 lbs, with a medium complexion, brown eyes, and black hair. His religious denomination was Roman Catholic. His next of kin on his initial Attestation paper was his father, Joseph Benjamin Edwards, Gilgandra, N.S.W. He completed his medical examination at Molong on 22nd October 1915, and was attested by Captain Nicholas at ‘Molong (8 miles east)’, along with several other Coo-ees, on 22nd October 1915. He claimed to have no previous military experience. ‘W. Edwards’ was named as one of six men who joined the Coo-ees ‘on the road from Wellington’ in the Molong Express and Western District Advertiser. Per his Detailed Medical History of an Invalid form dated 10th January 1916, he enlisted at Wellington, so it appears he first presented to join the Coo-ees when they were recruiting at Wellington. This form recorded that on 4th January 1916 Private J. W. Edwards was at the Liverpool Railway Station when he jumped off a train on the wrong side and fell, and he suffered a hernia to his left oblique. He was recommended to have an operation, however he declined. The Medical Board subsequently found him unfit for military service, and recommended his discharge. Private Edwards was discharged medically unfit on 15th January 1916. Joseph William Edwards re-enlisted in the A.I.F. on 27th April 1916 at Dubbo, N.S.W., and he was appointed to Dubbo Depot Battalion. 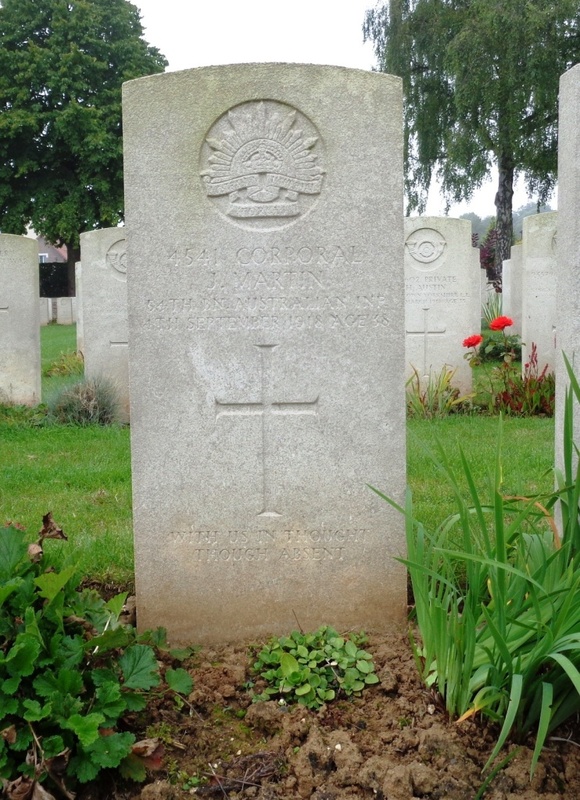 He was transferred from Dubbo Depot Battalion to Invalids Section A.I.F. Victoria Barracks Sydney N.S.W. from 26th May 1916 to 9th August 1916. He was transferred from Dubbo Depot Battalion to Liverpool Camp as reinforcement for the 3rd Battalion on 20th September 1916. On Private Edward’s embarkation roll his address at time of enrolment was Wellington, N.S.W., and his next of kin is listed as his father, J. B. Edwards, P.O., Wellington, N.S.W. Private Edwards (regimental no. 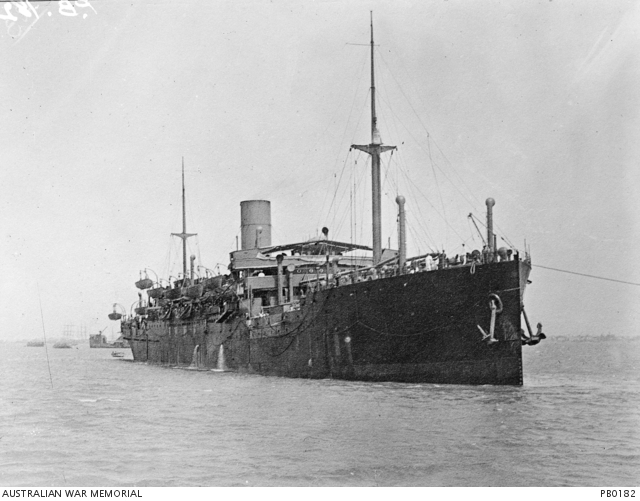 6744) departed Sydney on the SS Port Nicholson on 8th November 1916 with the 22nd reinforcements for the 3rd Battalion. He arrived at Devonport, England on 10th January 1917. He was sent to the 1st Training Battalion at Larkhill, England. On 10th April 1917 Private Edwards proceeded overseas to France from Folkestone, England. On 30th April 1917 he marched out to his unit from the Australian Division Base Depot at Etaples. On 2nd May 1917 Private Edwards was taken on strength of the 3rd Battalion when it was manning the front line in the vicinity of Vaulx, France. On 13th May 1917 Private Edwards was sent to hospital sick. He rejoined the Battalion on 29th May 1917. On 10th July 1917, the 3rd Battalion was conducting ‘recreational training and bomb throwing competitions’ at Buire, France, when 13 men in the Battalion were accidentally wounded by a bomb explosion. Private Edwards received a severe bomb wound to his back and left hand, and was transported by the 3rd Australian Field Ambulance to the 56th Casualty Clearing Station. On 23rd July he was admitted to the 1st General Hospital in France. On 28th of July 1917 Private Edwards was placed aboard the H.T. Warilda for evacuation to England. He was admitted to the 3rd Southern General Hospital at Oxford, England on 29th July 1917 with bomb wound back severe. He was listed as ‘Wounded … Pte. J. W. Edwards (Wellington), dangerously’ in the ‘War Casualties’ list in the Evening News on 9th August 1917. On 30th August 1917 he was transferred to the 3rd Australian Auxiliary Hospital at Darford, England. On 3rd September 1917 Private Edwards was discharged from hospital and granted leave to report to Weymouth, England on 17th September 1917. On 19th October 1917 Private Edwards departed England to commence his return to Australia aboard the H.T. Port Lyttleton. He arrived in Australia on 16th December 1917. On 21st January 1918 Private Edwards was discharged medically unfit. Australian Imperial Force unit war diaries, 1914-18 War, AWM4 Subclass 23/20 – 3rd Infantry Battalion, AWM4 23/20/29 – July 1917.